*Starting October 1, 2018, the exam content for Levels I, II and III will be updated to the following references: NFPA 70 2014, NFPA 72 2016, NFPA 101 2015, IBC 2015. The Level IV exams will be updated before the end of the year. 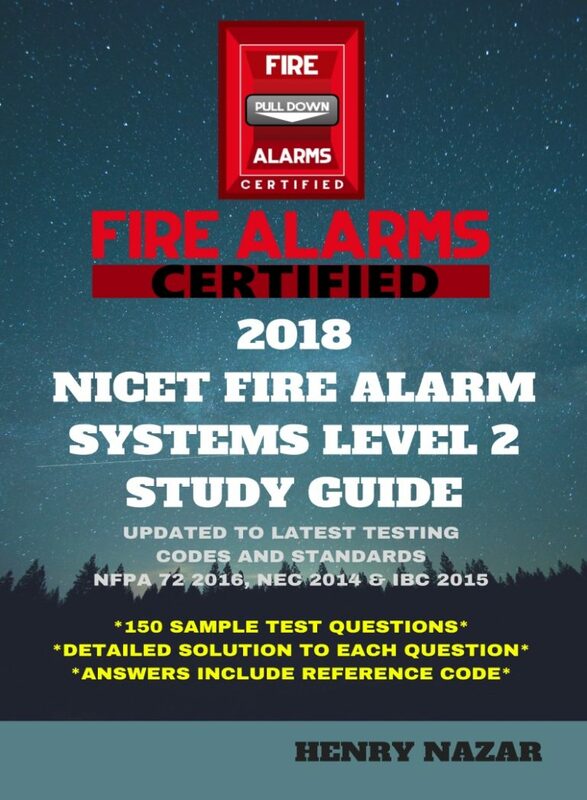 2018 NICET Fire Alarm Systems Level 2 Study Guide has been updated to reflect the recent changes described above. Congratulations on passing NICET Fire Alarm Systems Level 1 Exam. Now, it is time for Level 2. Similar to the Level 1 guide, the purpose of this NICET Fire Alarm Systems Level 2 Study Guide is to prepare those interested in taking the NICET Fire Alarm Systems Level 2 exam. This prep book includes 150 questions referencing NFPA 72 2016, NEC 2014, IBC 2015, OSHA standards, project management guides and technical/theoretical disciplines. Each question is accompanied by the solution or method in finding the answer as well as the standard or section of the code (NFPA, NEC, IBC and OSHA). Each question is a multiple choice (most are 4 choices) similar to the format of the actual NICET exam. I have made these questions tough enough to test your readiness.